The award, established in 1981, is given annually to recognize an outstanding example of food technology transfer or cooperation between scientists in academic, government, and private industry. 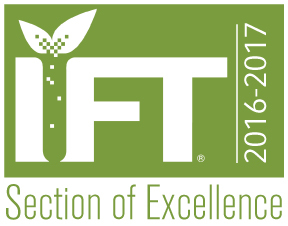 The award honors Harold Macy, former Dean Emeritus of the University of Minnesota and a Founding Member of IFT. The award consists of a plaque, $2500 honorarium and travel expenses. The awardee has been invited to address the Minnesota Section at the annual Macy Award meeting to be held April 23, 2018 in Minneapolis-St. Paul. The 2018 Harold Macy Food Science and Technology award recipient is Dean Kathryn J. Boor of Cornell University. Dean Boor is the Ronald P. Lynch Dean of the College of Agriculture and Life Sciences at Cornell University. Previously, Dr. Boor served as Professor and Chair of the Cornell Department of Food Science (2007-2010). Dr. Boor is a Fellow of the American Academy of Microbiology, the International Academy of Food Science and Technology, the Institute of Food Technologists, and the American Association for the Advancement of Science. She is the recipient of an honorary doctorate from Harper Adams University in England. Dr. Boor also serves on the board of directors of the Foundation for Food and Agricultural Research, for which she chairs the Committee on Scientific Review, and on the board of the International Life Sciences Institute-North America. by the preparation of appropriate descriptive material describing the accomplishments involved, and inviting of the individual awardee or awardees to address the annual Award meeting of the Section." 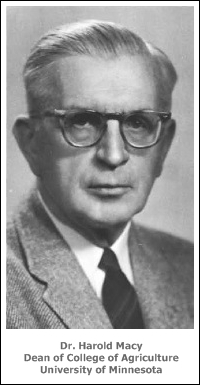 Harold Macy, emeritus charter professional member of IFT and former dean of the Institute of Agriculture at the University of Minnesota, died in 1986 at the age of 91. Dean Harold Macy, "Jo" to those who knew him, had a long and illustrious career in the food industry. His first and most extensive association focused on interests in dairy science, and his professional activity in dairy husbandry, processing and bacteriology, and later in food technology, spanned over 50 years. Jo Macy was involved in formulations and writing of some of the first public health regulations for milk and other dairy products, to assure their safety and wholesomeness. Among his most notable achievements in technology transfer was the establishment in 1936 of the Dairy Quality Control Institute (DQCI). For many years, DQCI oversaw on a cooperative basis, the quality of milk marketed in the Twin Cities metropolitan area, and included an analytical laboratory that was highly respected on a national basis. He was also involved in the original founding of the American Dairy Association and the Dairy Council, which was in Macy's words "one of the dairy industry's most precious accomplishments." Macy's academic career began in 1919 as an assistant professor of dairy bacteriology at the University of Minnesota. In the succeeding 44 years, he moved up through the ranks and completed his campus tenure as dean of what was then the Institute of Agriculture, Forestry, and Home Economics. 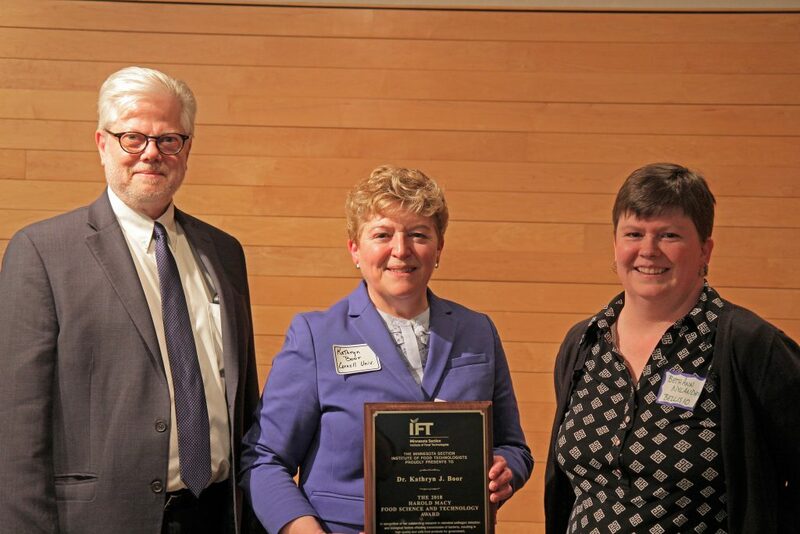 It is thus entirely fitting that a Minnesota IFT Section award emphasizing technology transfer among academia, government, and private industry should honor the name of Harold Macy. 1985 - Joseph C. Olson, Jr.